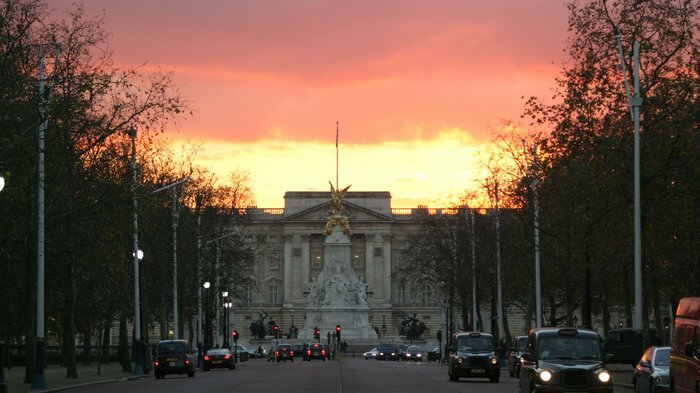 The monarchy is a constant source of fascination and intrigue for London visitors. Ever since William the Conqueror used Westminster Abbey for his coronation in 1066, London has been the royal capital of Great Britain. From Henry VIII's string of palaces to the party halls and follies of James I, the city is a treasure trove of the ornate, the ostentatious and the extraordinary. One thousand year-old prison, palace and place of execution. With over 1000 years of royal history lurking within its highly fortified walls, a trip to the Tower of London is like being involved in one of the most spectacular dramas of all time. Imagine yourself making your way from Traitor's Gate to join Sir Walter Raleigh in the Bloody Tower as he awaits his fate for allegedly plotting against James I. Follow in the unfortunate footsteps of Queen Anne Boleyn as she walks to meet her tragic fate at the scaffold on Tower Green. Join Edward I in the court revelry within the Medieval Tower and admire Henry VIII's armour, weaponry and torture instruments in the White Tower before being dazzled by the array of royal jewels, crowns and diamonds encased in the Jewel and Martin Towers. With its stunning riverside backdrop, the Tower has been used as a prison, palace, place of execution, arsenal, mint and menagerie since its construction following the Norman Conquest of 1066. After King Henry VIII's break with the Catholic Church, it housed religious prisoners including two of Henry VIII's six wives (Anne Boleyn and Catherine Howard), both of whom were beheaded on the scaffolds at Tower Green. It is now one of the most famous structures in the world and hosts a range of exhibitions and re-enactments which celebrate and represent some of the most spectacular aspects of its gory and glorious past. Travel through over 500 years of rich royal history reflected in the palace's varied and stunning mix of Baroque and Tudor architecture. The winding corridors, lavish State Apartments, expansive Tudor kitchens, immaculate 60-acre riverside gardens and maze together make Hampton Court the oldest surviving Tudor palace in England. From the early 1500s when King Henry VIII's lavish re-decoration and extension transformed Cardinal Wolsey's country seat into a palace more than fit for a king, through to 1996 when fires ripped through the King's Apartments, Hampton Court has undergone a raft of changes. In 1689 King William III commissioned Sir Christopher Wren to rebuild the palace. Thankfully, lack of money and time prevented total demolition of the building and Henry VIII's Tudor palace remains to this day - a testimony to the estate's original and most celebrated owner. The palace also houses one of the most important works of the Italian Renaissance - Andreas Mantegna's 'Triumphs of Caesar'. This formidable sequence of nine paintings is on permanent display in the Lower Orangery. No trip to Hampton Court is complete without a visit to the world's oldest and largest vines, a stroll around the glorious formal and informal riverside gardens and a tour around the world-famous trapezoidal maze - part of William III's Wilderness Garden and the oldest surviving hedge maze still in use. A revolutionary audio installation brings the maze alive for visitors. Using fragments of music, snatches of laughter, the seductive rustling of fine silks and snatches of covert conversations the audio installation brings to life an age when the maze symbolised an opportunity for secrecy, subterfuge and seduction. Originally a private country house, public visitors are now warmly welcomed into Kensington Palace - the birthplace of Queen Victoria and home to Princess Diana between 1981 and 1997. Relive the moment in the Victorian Rooms when the young Princess Victoria discovered that she was to become Queen. Admire the family portraits and original furnishings adorning the homely Queen's Apartments. Revel in the grandeur of the King's Apartments, saturated with paintings and works of art from the Royal Collection, and find sanctuary in the calming Cupola Room where Princess Victoria was christened. On permanent display inside the palace is the famed Royal Ceremonial Dress Collection bursting at the seams with outfits from the 18th century to the present day including a range of glamorous dresses worn by HM Queen Elizabeth II and an array of spectacular and unique evening gowns modelled by Diana, Princess of Wales. No tour of the palace is complete without taking a turn around the elegant 18th century Orangery and Sunken Garden designed to host elaborate court entertainments during the reign of Queen Anne. In its heyday the largest royal palace in Europe, this historic venue is the only surviving section of Whitehall Palace and still hosts many royal and social occasions. The palace originally started life in the 14th century as one of the Archbishop of York's homes. A devastating fire in the early 1600s led to the edifice being rebuilt by Inigo Jones - often credited as being the first Englishman to properly understand and apply the rules of classical and renaissance architecture. Due to its isolated position, the Banqueting House survived a second subsequent fire, which razed the rest of the palace to the ground and it eventually became a royal chapel. From Henry VIII to James I, the building echoes with royal connections, the most sinister of which has to be hosting the execution of Charles I during the English Civil War. Charles II marked his restoration to the throne here 20 years later. The building is as architecturally significant as it is historically celebrated, introducing as it did a delicate Italianate Renaissance style unmatched in Jacobean society. It was first building in England to use crown glass in its windows, while the fabulous Ruben's ceiling painting, commissioned by Charles I, is the only Rubens scheme painted by him to remain in its original position. Restored by English Heritage, this fantastic house offers visitors the chance to indulge in the opulence of 1930s Britain whilst at the same time experiencing the solidity and symbolism of medieval London. Eltham Palace began to evolve during the 15th century when Edward IV commissioned the Great Hall, which survives today as a testament to the craftsmanship of the period. 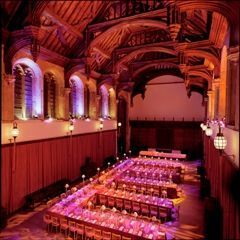 It boasts the third largest hammer beam roof in the country and hosted many royal occasions, including Christmas festivities for Henry VIII who grew up at Eltham Palace. Henry VIII was the last monarch to spend significant time at the palace before it fell into disrepair. Many of the buildings were demolished and the site was used as a farm. In the 1930s a wealthy couple acquired the site, on the understanding that they would repair and maintain the medieval Great Hall. They added a stunning 1930s house, equipped to meet their every need, which boasted unique interior design and furnishings, coupled with the latest technology. This Art Deco masterpiece evokes the style and glamour of the 30s and is complimented by lush landscaped gardens, including a moated area, the remains of Henry VIII's hunting park, and a sunken rose garden. Visitors can enjoy the fascinating blend of medieval and modern design in the Great Hall and the 1930s house, explore the gardens and moated area, and have tea in the 1930s kitchens. England's most famous royal palace, and the official residence of Queen Elizabeth II, opens the doors of its State Rooms to the public every summer. Originally acquired by King George III for his wife Queen Charlotte, Buckingham Palace was increasingly known as the 'Queen's House' and 14 of George III's children were born there. On his accession to the throne, George IV decided to convert the house into a palace and employed John Nash to help him extend the building. Queen Victoria was the first sovereign to live in Buckingham Palace (from 1837). The State Rooms are now still used by the Royal Family to receive and entertain guests on State and ceremonial occasions. Visitors can admire some of the more unusual gifts received by the current Queen, including drawings by Salvador Dali, an embroidered silk scarf from Nelson Mandela and a grove of maple trees. Decorated in lavish fashion, the rooms include paintings by Rembrandt, Rubens, Canaletto, Vermeer and Poussin, sculpture by Canova, exquisite examples of Sevres porcelain, and some of the finest English and French furniture in the world. The Ball Supper Room, the setting for a host of sparkling events in the history of the palace, 29 acre gardens and annual exhibitions are all also available to visitors. William the Conqueror chose to build a castle at Windsor more than 900 years ago to defend the western approach to the capital. As one of the Queen's official residences Windsor Castle still plays a formal role in State and official occasions. Visitors can marvel at St George's Chapel, which was founded by Edward IV back in 1475 and is one of the best examples of gothic architecture in the country. Prince Edward and Sophie Rhys-Jones were married there in June 1999. It is also the burial site for 10 sovereigns. Equally stunning is St George's Hall, which has been completely restored following a fire in 1992 and is still used by the Queen for state banquets and receptions. The State Apartments are also open to the public and are lavishly furnished with paintings by Rubens, Holbein and Rembrandt, sculpture and tapestries. In the Drawings Gallery, visitors have an opportunity to see artwork from the Royal Library and Queen Mary's Dolls' House will delight everyone with its perfect rooms and furnishings in miniature. Built on a scale of 1 to 12 the dolls' house was crafted in the 1920s. Now more commonly known as the Houses of Parliament, the Palace of Westminster began life as a royal residence in 1042 under Edward the Confessor. The major structure to survive various fires, Westminster Hall, was built between 1087-1100 and is one of the largest medieval halls in Europe with an unsupported hammerbeam roof. During the 14th century the hall housed shops and stalls selling wigs, pens and other legal equipment and the courts of law met there. Thomas More, Charles I and those accused of trying to blow up parliament (1605) were all tried in Westminster Hall. Following a fire in 1512, Henry VIII decided to abandon the palace and from this moment onwards it became home to the two seats of parliament - the Commons and the Lords. However, it was to suffer from another disastrous fire in 1834 and everything was lost except Westminster Hall and the Jewel Tower. A competition was launched to redevelop the whole site. Sir Charles Barry was responsible for the mock gothic building that has become such a familiar landmark today; including the Clock Tower that houses Big Ben, the bell that chimes on the hour, and is home to the largest clock face in the country. Members of the public can watch debates when Parliament is in session. You don't need tickets in advance, but may have to queue. For the chance to watch Prime Minister's Questions, it's advisable to obtain tickets in advance from your member of parliament or a Lord (British citizen) or you can queue on the day - although priority is given to ticket holders. Across the road from the imposing Houses of Westminster, this simple, three-storey, 14th century tower often gets overlooked on the tourist trail. One of only two buildings forming part of the Palace of Westminster to survive the fire of 1834, the Jewel Tower boasts a stunning, untouched 14th century ribbed vault that more than warrants the trip across the road from the main Westminster parliament buildings. Built in 1365, the tower was used by King Edward III to store his treasures and wardrobe - remains of the original moat and medieval quay designed to secure the building can still be seen today. Built in 1631 for merchant Samuel Fortrey, and later acquired by George II as an annexe to Kew House, Kew Palace served as a family country retreat for George III and his extensive family. Nestled among the greenery of the (now) Kew Gardens and perched on the river, the King loved the palace so much he was given the nickname "Farmer George" as he spent so much time away from the centre of London, out "in the country" at Kew. The palace itself was comparatively small with only four storeys but was favoured by a string of royals. First used by the royals in 1729, George III officially bought the property in 1781. It later became a more permanent home for the Royal Family - King George IV was born here, while Queen Charlotte died here in 1818. It is the last survivor of several important royal residences at Kew and after a long closure for restoration, the palace opened up once more in summer 2006 to visitors be it of a less regal variety. St James's Palace on Pall Mall is one of the oldest palaces in London and the official residence of the sovereign yet the royals haven't lived here since Victorian times. The palace had "long since ceased to be used by royalty for any but ceremonial purposes" Charles Dickens's wrote in 1879. Built between 1531 and 1536, Henry VIII commissioned the palace as a hunting lodge, close his main official residence of Whitehall Palace as well as the Royal Deer Park. Built on the site of the former St James's hospital for lepers - the saint after which both the Palace and nearby St James's Park are named - little remains of the Tudor original except for parts of the Chapel Royal and a fine 16th century gatehouse (thought to be to a design by the king's painter, Hans Holbein the Younger). There are two Chapels Royal in the Palace complex: the Chapel Royal itself and the 1620s Inigo Jones designed Queen's Chapel, both are active places of worship and open to the public for seleect services. The Palace itself is not accessible to the public. From cheap budget accommodation to luxury 5 star suites see our discounts for hotels, including Hyatt Regency London The Churchill from 45% off.